"We've all gone to sleep. We've all gone to bed. 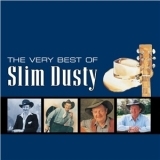 We're waiting for dreams to fill our heads"
The Very Best Of Slim Dusty (this album) (compilation) (2003).